On May 11, 2016, the Occupational Safety and Health Administration ("OSHA") published a Final Rule, titled "Improve Tracking of Workplace Injuries and Illnesses." Generally, the Final Rule requires that (1) covered employers electronically submit their injury and illness records to OSHA; and (2) employers have or create reasonable procedures for employees to report work-related injuries and illnesses. Most importantly, the Final Rule prohibits employers from retaliating against employees for using such reporting procedures and, in a new development, allows OSHA to cite a retaliating employer without having to first receive a complaint from an affected employee. Given this development, it is essential that employers review and, if necessary, revise policies and procedures related to the tracking and reporting of work-related injuries and illnesses, as well as policies that may, directly or indirectly, subject reporting employees to adverse employment actions (e.g. disciplinary policies, post-incident drug testing, and safety incentive programs). The electronic reporting portion of the Final Rule goes into effect January 1, 2017, while the internal reporting and anti-retaliation provisions will be effective August 10, 2016. States such as Iowa that are known as "OSHA State Plan" states must establish requirements identical to those in the Final Rule within six months of the Final Rule’s publication. Iowa employers should stay tuned for the state’s forthcoming requirements. • Employers with 250 or more employees that are currently required to keep OSHA injury and illness records must electronically submit information from OSHA Form 300A by July 1, 2017. In 2018 such employers must also submit to OSHA information from Forms 300, 300A, and 301 by July 1 and for every year thereafter by March 2. • Employers employing between 20 and 249 employees in specific high-risk industries (including agriculture, construction, and manufacturing) must submit Form 300A each year on the same schedule as above. • All other employers must submit information from the injury and illness records to OSHA only if OSHA notifies the employer that it must do so for an individual data collection. • OSHA will post all reported data on a publicly accessible website after removing information that could be used to identify individual employees. With respect to retaliation, OSHA Section 11(c) already prohibits employers from retaliating against employees for reporting workplace injuries or illnesses. However, under previous regulations, OSHA could only issue a citation to retaliating employers if an affected employee filed a complaint with OSHA (known as an 11(c) complaint) within 30 days of the alleged retaliation. The Final Rule retains this 11(c) complaint procedure and goes further to grant OSHA the authority to cite an employer for retaliation even if the affected employee does not file an 11(c) complaint, or if the employer has a program/policy that deters or discourages reporting through the threat of retaliation. Thus, it is essential that employers review and update workplace policies prior to the anti-retaliation provision’s August 10, 2016 effective date to ensure that such policies do not deter or discourage reasonable employees from reporting workplace injuries or illnesses. Consistent with previous OSHA guidance, the preamble to the Final Rule, specifically mentioned three areas of emphasis that should guide the policy review/revision: disciplinary policies, mandatory post-incident drug testing, and safety incentive programs, each of which are discuss below. OSHA acknowledges that employers have a duty to enforce legitimate safety rules and, thus, have the right to discipline employees who violate such rules. However, OSHA cautions that policies that use injury reports as the basis for discipline or even performance/promotional decisions will face increased scrutiny, as will situations where employers use safety rules to disproportionately discipline injured employees. In addition, OSHA indicated it would be on the lookout for policies/programs that discipline employees for violations of vaguely worded work rules, such as "work carefully" or "maintain situation awareness," believing that such vague policies could be used as pretext for retaliation. In contrast, OSHA indicated that more specific safety rules, such as a requirement to wear safety glasses in the work area, would be less likely to be used as pretext for retaliation; and as such, would be acceptable. The Final Rule does not ban drug testing of employees entirely, but "does prohibit employers from using drug testing (or the threat of drug testing) as a form of adverse action against employees who report injuries or illnesses." OSHA advises that "drug testing policies should limit post-incident testing to situations in which employees’ drug use is likely to have contributed to the incident, and for which the drug test can accurately identify impairment caused by drug use." OSHA notes, however, that conducting drug testing to comply with the requirements of a state or federal law or regulation would not be a retaliatory motive and that the Final Rule does not prohibit such testing. As mandatory post-incident drug testing is usually included in employer policy manuals, such policies will need to be reviewed and updated before the August 10, 2016 effective date of this provision. The Final Rule reiterates OSHA’s position that safety incentive programs that penalize or otherwise deter employees from reporting workplace injuries or illnesses are unlawful. Under the Final Rule, employers may not use an incentive program to take adverse action against an employee because the employee reported a work-related illness or injury. OSHA indicated that incentive programs emphasizing "outcomes," such as programs offering bonuses or other awards to workers and/or teams of workers that are injury free for a period of time, often discourage employees from reporting workplace injuries or illnesses. Instead, OSHA recommends making awards contingent upon employees’ following legitimate safety rules or reporting injuries, illnesses, near-misses, or hazards. Examples of such "positive" incentives include "providing t-shirts to workers serving on safety and health committees; offering modest rewards for suggesting ways to strengthen safety and health; or throwing a recognition party at the successful completion of company-wide safety and health training." The bottom line is that OSHA’s expanded authority under the Final Rule to issue citations to retaliating employers even without an employee’s filing an 11(c) complaint puts employers at risk. Careful review of your policies and procedures now can help reduce that risk. 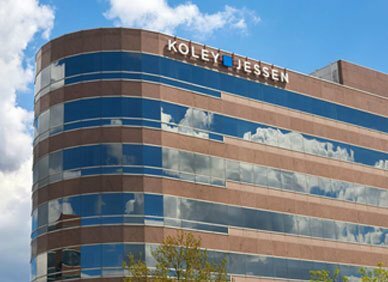 If you have questions or would like to discuss the Final Rule, or workplace safety in general, please contact an attorney in Koley Jessen’s Employment, Labor and Benefits Practice Group.